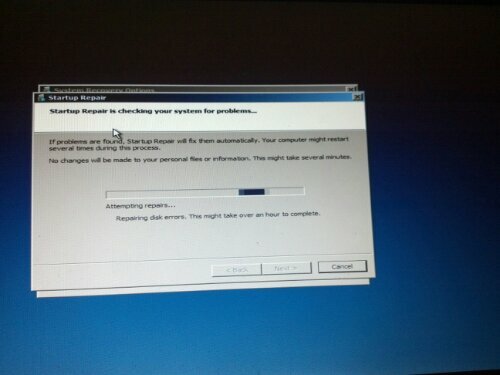 My laptop is refusing to start. I’m writing this on my phone while my computer attempts to repair itself. Here’s hoping that it is successful and I will be able to use it soon. UPDATE: After a while of repair, my computer is once again working. Not perfectly, but at least as well as it was before the crash. My wife assumes that because it’s me, I can never be adversely affected by technology. So, when our HTPC overheated & cooked itself while playing a Blu-Ray on movie night the other night she was a little dumbfounded when I said we just had to go to bed.